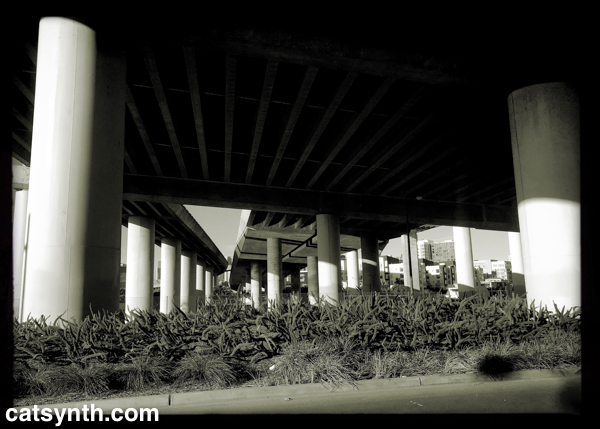 Walking underneath the I-280 elevated structures in Mission Bay, San Francisco. Taking a break from things at the ATwater Tavern along the Central Waterfront in San Francisco, not far from the industrial waterfront we love. Docks near Mission Rock in the Mission Bay neighborhood of San Francisco (more info in the comments). As usual, the description is in the comments. But while you’re here, please checkout yesterday’s South Carolina post. NOTE: CatSynth will go black 8AM to 8PM US Pacific Time in protest of SOPA/PIPA. More information at http://www.fightforthefuture.org/pipa and http://sopastrike.com/.